Part of the “Madeira Cultural Festivals” project, the Madeira Organ Festival, with the presentation of its sixth edition, attains yet a further level of growth, maturity and affirmation both of itself and publicly amongst all those who work for it and produce it every year (whether as listeners, performers or organizers) as well as other related projects, whether national or international. The organ heritage of the Autonomous Region of Madeira is indissolubly linked to the history of the archipelago itself, almost six centuries, in that, since the building of the first Iberian organs in the Cathedral of Funchal and the Church of Our Lady of the Conception, in Machico, on the orders of King Manuel, through the importation of various examples from England at the height of the merchants who sold Madeira wine, down to the present, the trajectory of this noteworthy instrument, once called the “king of instruments”, has taken place over the course of a number of cycles, unfortunately at times antagonistic, but important for our contemporary understanding and awareness. Based on earlier studies, the Regional Government, through the Regional Office of Culture, has implemented over the last decades various measures aimed not only at the preservation of part of the organ heritage of Madeira, but also to make use of it and make it known, through this festival, creating the best conditions for the local and touristic communities autonomously to define its cultural habits and development. Occupying an important position in the realm of cultural events organized by the Autonomous Region, it is of importance to analyse and understand the impact that comes from this event, especially in terms of promotion, development of its local significance, increase of cultural tourism and the entire community of Madeira's identification with, and commitment to, its heritage and culture, thus becoming active agents and enhancers of it, beyond the confines of the Island, in that the event remains beyond the Festival, generating promotion and recognition of Madeira and what is has to offer culturally in this field. The concern that the organization of this festival has in presenting as eclectic a programme as possible aims to stimulate and conquer an increasingly diverse audience, of all ages, with the richness and power of the organ and its music, since the many feelings and emotions generated in each listener are, without a shadow of doubt, the main reason for its existence. The Madeira Organ Festival has reached its sixth edition. During the last years, dozens of the most important Portuguese and foreign organists have performed, as soloists or together with other instrumentalists, singers and ensembles, more than fifty concerts with varied programmes - from the Middle Ages to the present day, from the main composers of organ music to improvisation, from renaissance polyphony to jazz – to am international audience of thousands of people. The artistic level, the diversity of the programming and the enthusiasm of the audience has in itself guaranteed a place of honour for this event both nationally and internationally. 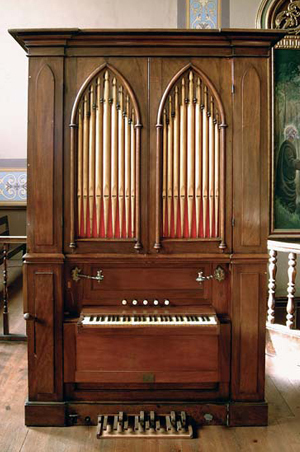 But the Madeira Organ Festival is also the coronation of an initiative – also unique in Portugal – of the consistent preservation and diffusion of the legacy of the organ, from which has resulted the restoration of a dozen instruments, the building of a large organ, the recording of several discs and the publishing of an inventory of the entire organ heritage of Madeira. 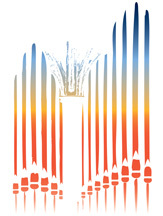 This year, following the lines of orientation evident since its inception, the Madeira Organ Festival continues, on the one hand, to explore the diversity of the organ legacy in Madeira and, on the other, to present varied programming and a range of nationally and internationally-recognized artists. Noteworthy amongst the solo organ recitals is the opening concert in the Igreja do Colégio by Olivier Latry, one of the titular organists of the Cathedral of Notre-Dame in Paris. Other recitals include an English programme at the Church of Santa Luzia by Ann Elise Smoot and an homage to the Iberian school by Sérgio Silva on the organ of the Church of Machico, the most valuable historical instrument of the region. Concerts of ensemble music include, apart from a concert for choir and organ with the young organist André Bandeira, a concert centred on 16th century repetoire of Italian origin by the Ludovice Ensemble and an exotic mixture of cante alentejano (and other vocal styles) and organ by the ensemble Cantechão, a programme dedicated to Johann Sebastian Bach at the Igreja do Colégio, with Élio Carneiro on the large Dinarte Machado organ and Sérgio Silva on the Machado e Cerveira organ, which is the first time it will be played after its recent restoration. The closing concert is given bu Lorenzo and Vittorio Ghielmi, providing the sounds of organ, harpsichord and viola da gamba in the remarkable space of the Church of the Convent of Santa Clara.